Lavavajillas Beko genuina puerta cuerda bisagras 1881050100. Beko Lavavajillas. Flavel Lavavajillas. Proline Lavavajillas. Lavavajillas de Lamona. Cuerda de bisagra lavavajillas x1. Por qué la parte puede ser distinta a la Original defectuoso. Superior calidad pieza genuina, cuerda de nylon fuerte. Su satisfacción es muy importante para nosotros. Anzahl der Einheiten 1. Produktart Dichtung. GIV 6480 Austria 7644181042. Elektra Bregenz. GSN 9583 XB640 (C4) Alemania 7650831642. GSN 9580 XB Alemania 7650941642. GSN 9475 X Alemania 7650841642. XSP de GSN 9220 Alemania 7651041642. Todos los componentes eléctricos deben ser instalados por un electricista competente. ADP8630, ADP8640. Salvo lista especifica un periodo de garantía distinto. ☼ UN AÑO DE GARANTÍA ☼. SERIE DW12, DWP5512. 3503 B lavavajillas (3. La colección no es exhaustiva pero es posible que más maquinaria y equipo existen en que se inscribe el artículo muestra. ✮Utilice tabla - que empareja para los siguientes dispositivos ). TLDA625W, TLDA628W, TLDA662W, TZDA627FW, TZDA629FW, TZDA661W. BEKO Nevera Congelador PUERTA MANGO Blanca. En 12 de julio de 06 en 1:10:54 BST, el vendedor añadió los siguientes datos EAN Does not apply. 4328000400 genuina. BEKO Nevera Congelador PUERTA MANGO Blanca. MPN Does Not Apply. En 12 de julio de 06 en 1:10:54 BST, el vendedor añadió los siguientes datos. Door ropes or cables (pair) to fit various Beko produced dishwashers including built in or integrated models of dishwasher. Beko Dishwasher. Whirlpool Dishwasher. Diplomat Dishwasher. Flavel Dishwasher. Genuine Beko Dishwasher Door Rope Hinges 1881050100. Door ropes or cables to fit various Beko produced dishwashers including built in or integrated models of dishwasher. Beko Dishwasher. Diplomat Dishwasher. This is the genuine Beko part. Credit/Debit card (UK ONLY) ?. Used spare part in good working order. Tested.Suitable for freestanding and integrated models. TLDA625W, TLDA628W, TLDA662W, TZDA627FW, TZDA629FW, TZDA661W. Genuine 4328000400. BEKO Fridge Freezer DOOR HANDLE White. Genuine original door lock for your dishwasher. This part compatible with following models. SparesXpert is a supplier of spare parts and accessories. GNF11510 GNF41810 GNF41810X GNF41820X GNF41821X GNF51020X GNF51040X GNI11520X GNI41820X GNI41822X GNI41832X GNI51021X GNL41930 GNU41810 GNU41820X GNU41824X GNU41830X GNU51010X GNV31610 GNV41810 GNV41821 GNV41830 GNV41920 GNV41930 GNF11510X GNF41810W GNF41820 GNF41821 GNF51020 GNF51040 GNI11510X GNI41810X GNI41821X GNI41830X GNI51010X GNI51030X GNU41620 GNU41820 GNU41824 GNU41830 GNU51010 GNU51040X GNV31620 GNV41820 GNV41824 GNV41910 GNV41921. BEKO Fridge Freezer DOOR HANDLE White. Lamona Dishwasher. Genuine Beko Dishwasher Door Rope Hinges 1881050100. Door ropes or cables to fit various Beko produced dishwashers including built in or integrated models of dishwasher. Beko Dishwasher. 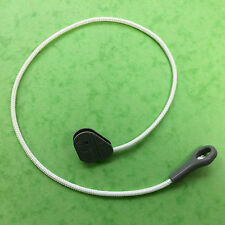 Dishwasher Door Hinge Ropes (2 Pack): Genuine Spare: Part No: 1881050100: Fits Many Makes & Models, Listed in Description. PART NUMBER 1881050100. 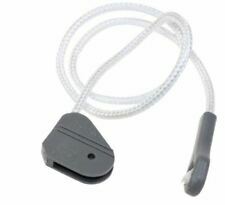 Genuine Beko Dishwasher Door Hinge Ropes - X2. 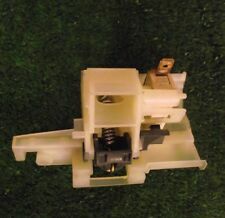 This Is A Genuine Part Made By Beko. Genuine Beko Dishwasher Door Rope Hinges 1881050100. Door ropes or cables to fit various Beko produced dishwashers including built in or integrated models of dishwasher. Beko Dishwasher. Flavel Dishwasher. Dishwasher BEKO DE2541FW Door Springs x2. Condition is Used. Dispatched with Royal Mail 2nd Class.